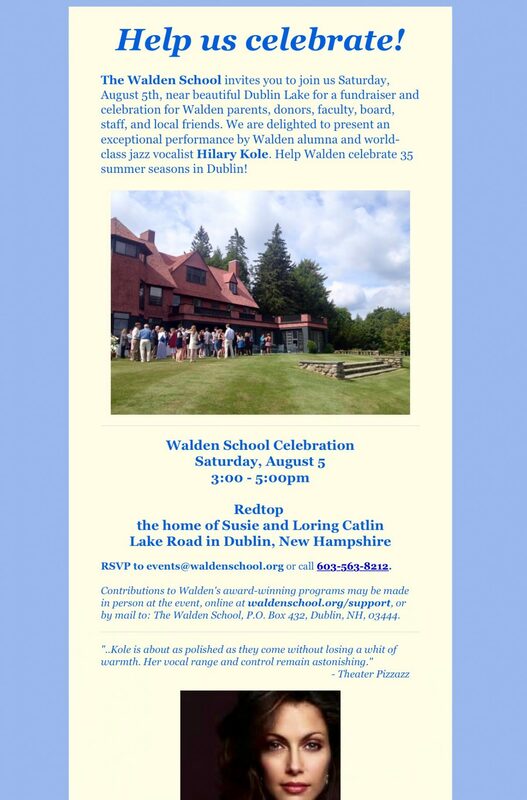 Contributions to Walden's award-winning programs may be made in person at the event, online at waldenschool.org/support, or by mail to: The Walden School, P.O. Box 432, Dublin, NH, 03444. I am so excited to be playing a solo concert for the greatest summer camp in the world — Walden! This is where I cut my teeth, and the reason why I am the musician I am today. If you don’t know about it, check Walden out…it is a magical place and I was so lucky to have spent six summers there as a teenager.